Important: This article applies to Network Solutions® customers only, who currently have a Hosting account with Network Solutions. If you are not hosted with Network Solutions, then please click here for instructions on how to set up the SiteLock Defend or SiteLock911 + Defend service. Domain Verification—Verifies your domain and proves that you or your organization owns the rights to the domain in question. Smart or Smart/911—Downloads a copy of your website. Finds and cleans any malicious code. TrueShield—Helps protect your website from malicious traffic and harmful requests with Trueshield's Web Application Firewall. TrueShield with SSL—Allows the TrueShield Web Application Firewall to better protect the SSL certificate. SSL Scan—Ensures that your website has an active and functioning SSL certificate installed. Network Scan—Does a complete scan of your Network system and cleans up any malicious content. Trust Seal—The Trust Seal badge that gets displayed on your website shows your customers that they are safe to visit and provide information to your website. 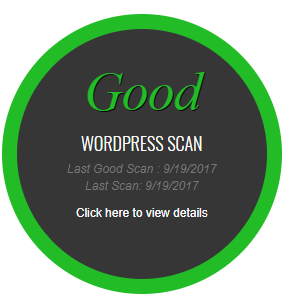 Platform Scan—Detects the most common set of outdated plugins and versions for WordPress, an open-source application. It will not remove or update any plugins, as this will need to be done through the Content Management System Administrator login itself. Note: If you already have an SSL certificate associated with your Hosted account with Network Solutions, then please allow up to 24 hours for the DNS propagation to fully complete after purchase of the SiteLock Defend product. 1. 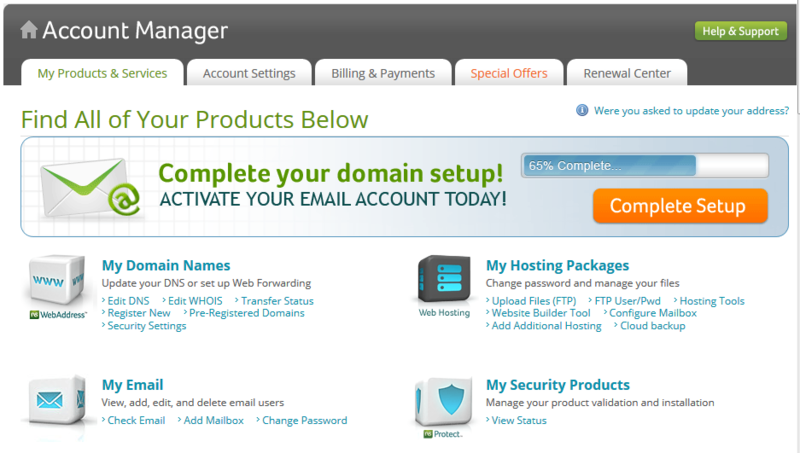 Click here to log into your Network Solutions Account Manager with your account credentials. 2. Click My Security Products. 3. 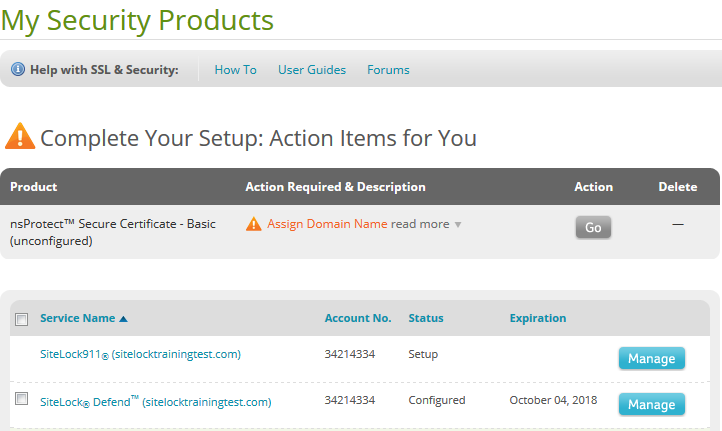 On the My Security Products page, click the Manage button next to the SiteLock Defend product. The SiteLock Details page appears. Click the Launch link. 4. Click the Proceed button to Accept Terms of Service. 5. On the dashboard page, in the Security Summary section, click your domain. The domain dashboard page appears. The components that have a green check mark are already set up for you. Those that have a yellow check mark and upon hover are marked by the Configure status, these are the optional components that you can set up. If you have an SSL certificate associated with your Network Solutions Hosted account, then the certificate is automatically installed. The TrueShield icon appears with a green check mark. If you have an SSL certificate purchased elsewhere for this particular domain, then you will need to contact your Certificate Authority for the appropriate files to upload to the SiteLock dasboard. If you have recently purchased a DV, EV, or OV from Network Solutions with your SiteLock Defend or Bundle service, then upon SSL validation, if you need assistance, please call 1-877-628-8686. If you have previously purchased an SSL certificate from Network Solution, and it is active, is validated status, then the setup of the certificate will be automatically provisioned at the WAF/CDN settings. 1. On the dashboard page, hover over and click the Configure SSL Scan icon. 2. In the Add Host panel, type the domain name that should be on your SSL certificate. On the dashboard page, the SSL Scan icon is now at Pending status. If the SSL certificate is valid, then the scan will successfully be configured. The status on the SSL Scan icon changes from Configure to Good. Note: The SSL Scan takes up to 24 hours to configure. 1. On the dashboard page, hover over and click the Configure Network Scan icon. 2. On the Network Scan panel, click the Scan Now icon. The system gets to work to scan your files and reports back any suspicious activity. 1. In the upper left-hand corner of the main Dashboard page, click the Trust Seal icon. 2. In the Step 1 panel, click the drop-down arrow to select the appropriate language. Then click the Next button. 5. In the Step 3 panel, select the location on where to place the Trust Seal icon on your website pages. 6. Click the Save Configuration Settings button. 7. 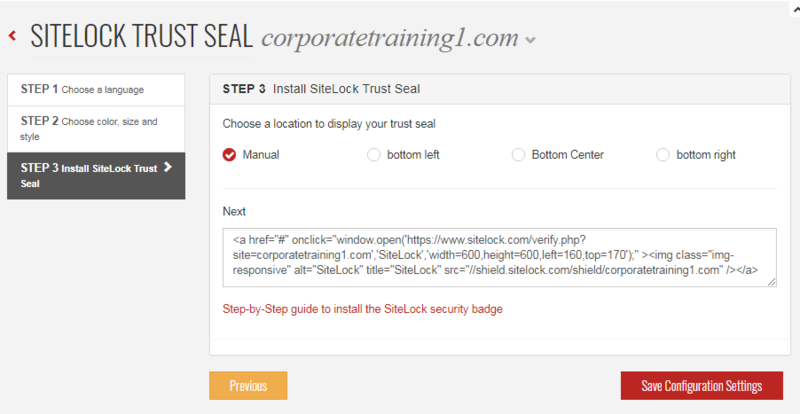 Then click the Step-by-Step guide link to learn how to install the Trust Seal badge onto your website pages. If you need additional help in setting up the SiteLock Defend or the SiteLock911 + Defend services, then please call 1-877-628-8686. Network Solutions—How Do I Set Up SiteLock911? Network Solutions—What Are the Benefits of the SiteLock's Malware Scanning and Removal Products?